Pembrokeshire Access Group is an independent charity which aims to promote improved access to services and facilities for disabled people. The group meets on the second Thursday of every month at County Hall in Haverfordwest, Pembrokeshire. The Group encourage councils, developers and businesses to subscribe to the social model of disability and the principles of inclusive design, so that everyone, regardless of their ability, can enjoy the same facilities equally. Our ongoing work has included the provision of beach wheelchairs across the county and producing flyers to tackle the issue of problem parking. 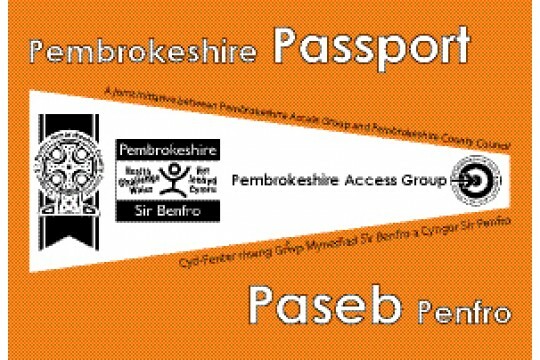 We launched the Pembrokeshire Passport in 2009, a bright orange wallet which helps disabled people travel independently. 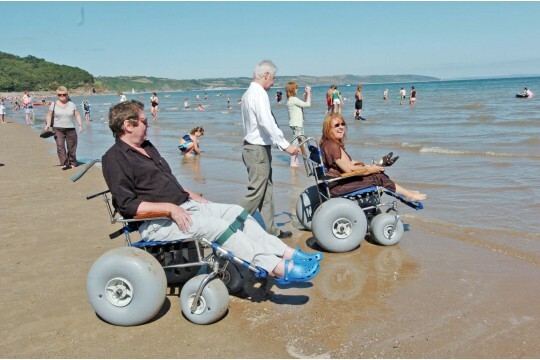 Pembrokeshire Access Group introduced Beach Wheelchairs to Pembrokeshire in 2006, the first in Wales. Since then the Pembrokeshire Coast National Park Authority has acquired several more and they are now available around the county. The beach wheelchairs are specially designed and manufactured to be used on sandy beaches. This allows less able people to enjoy a day at one of Pembrokeshire's beautiful beaches. Our appeal will help us maintain the wheelchairs and increasing their availability.